Are you in love with straight hair? If yes, here is a good news for you! Using a hair straightener at home is quite easy in recent times. Modern technologies have come up with some trendiest flat iron straighteners that are user-friendly in nature. Now, you do not anymore require visiting a salon when dreaming for stylish straight hair. However, using a hair straightener may not be a simple act for one who has not used it before. Though, flat irons are simple to use, sometimes one needs to be aware of the associated factors of hair straightening for ensuring safety. 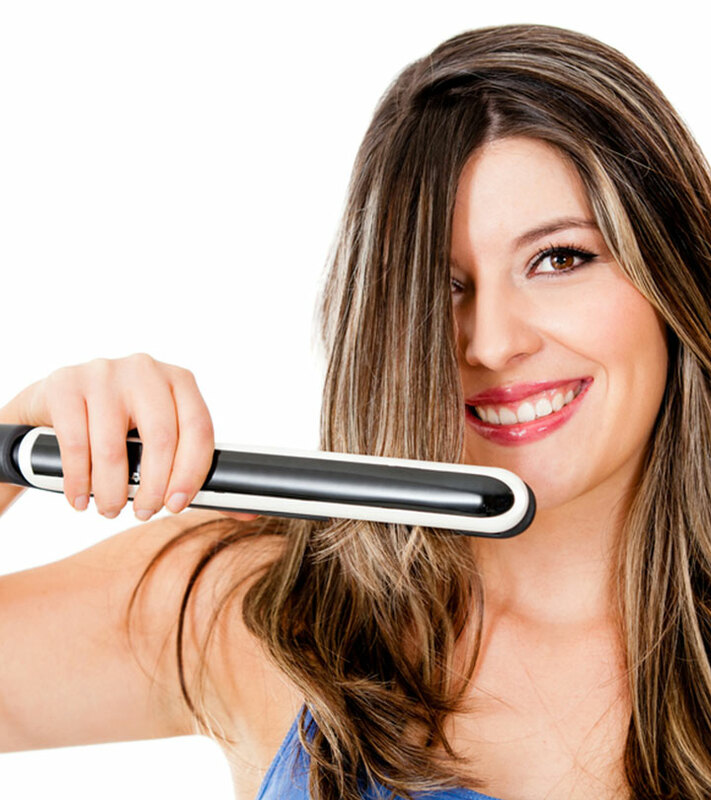 If you are a beginner, here is a simple guide on how to use hair straightener at home. Before you straighten hair at home, you need to prepare the hair first. Outside pollution, grease, various styling products, and dirt make our hair frizzy and unmanageable. Therefore, you need to wash the hair thoroughly before applying the straightener. A manageable good condition hair responds well to straightening. Besides, the chance of harm reduces to great extent when the hair is clean and healthy. You need to pick up a hydrating and nourishing shampoo when you look for hair straightening. This would leave your hair soft and suitable for using the iron. Before you apply the flat iron on hair, make sure your hair is dry. Do not use hair straightener on wet hair. Choosing the right type of hair straightener is as important as preparing your hair for the straightening method. You might be astonished to find plenty of straightening brands when you look for one. Hence, it is extremely important you choose the right one for your hair. It is unnecessary to mention that using a bad product may harm the hair severely, and sometimes lead to permanent hair damage. Among many types of straighteners, flat irons are the best ones. They may be little expensive compared to other types, but are best when safety is considered. When you are shopping for one, try to opt for the straightener that comes with ceramic coating. This type of product is gentle for hair and provides hair with extra shine and health. Choosing the right size of hair straightener is most important. An ideal size for the straightening iron ranges between 1” to 1.5” wide. Irons having 2 plates or more are best types of straighteners for all lengths of hair. Finally, it comes to the application. Applying a hair straightener at home is not as tough as flying a rocket. Here is a simple step-by-step guide for you. Wash off your hair with a good conditioning shampoo. Blow-dry it after wash. Use a smoothing and conditioning shampoo when you have frizzy thick hair. 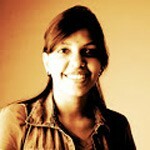 For thin hair, you should opt for the volumizing products. Give your hair a towel dry after wash and follow with the blow dry. When drying the hair, do it from the roots to the tips. Comb your hair well and detangle unmanageable hairs. This makes the first step of hair straightening. The next step is to apply a heat protection spray. Do not compromise this step, and also do not opt for a cheaper product for the same. Avoid applying the serum onto roots as it would make hair greasy. Heat protection is inevitable when you look for hassle-free straightening. While making the hair ready for straightening, divide the hair into layers, strands and sections. This would enable you focusing each part of the hair equally. Set the iron into correct temperature. It mainly depends on the length of the hair. Follow the manual guide minutely. Leave an inch from the root and start straightening. Straighten one layer of hair at a time. This way, repeat the method for each of the strands and layers. Stop the process immediately if you discover any sizzle or steam at hair. See yourself at mirror and enjoy the new hairstyle. 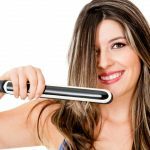 Hope, the above home hair straightener guide would help you out for straightening the hair safely at home. Ask any girl, which is your favorite hair styling tool? Hair Tong is what you will get to hear. Well, if you think that you are emo on the inside and want to reveal that part of yourself to the world, look no further! Here are our top 50 emo hairstyles for girls that will help you in your quest for some non-conformist hair reinvention.